Light, Durable Polycarbonate Hard Case. Includes precision cutouts for your regular charger and headphones. 3D Sublimation Technology which ensures high print quality and extraordinary level of detail. Wipe with a dry/damp cloth. Do not wash. High quality matte finished cases with high resolution printing using state-of-the-art inks and transfer techniques. We are able to print all around the 3D surface of the phone case and it includes the sides, edges, and corners. Our unique process is much better than traditional flat - surface printing, both in terms of visual appeal and end customer experience.Raised edges lift the screen and camera lens off the surface to prevent damaging the glass. 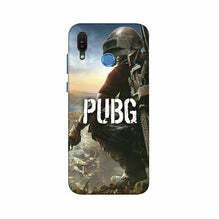 THIS ARE POLYCARBONATE Honor Play Covers WITH MATTE FINISH PRINTING ON IT.ACTUAL PRODUCTS MAY VARRY THEN THE IMAGE SHOWN ON THE WEBSITE. THIS IMAGES ARE JUST FOR DEMONSTRATION PURPOSE AND HENCE ACTUAL PRODUCT MAY LOOK SLIGHTLY DIFFERENT FROM ABOVE.